While co-hosting the Today Show this morning, John Cena opened up about the end of his relationship with Nikki Bella. And though he said he got his heart broken out of nowhere, Cena left the door open for them to get back together. "I still love Nicole, I still would love to marry Nicole, I still would love to have a family with Nicole," Cena said. "I don't want anybody else. I love Nicole, and I'm really trying to support her in her trying to find whatever it is that she wants that made this fall apart in the first place. And, in doing so, I'm also just trying to live. 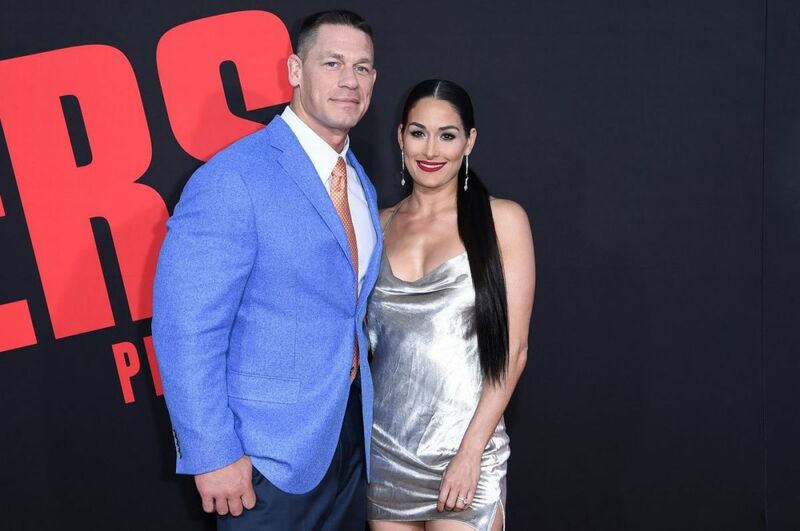 I don't have any other hopes, other than maybe one day that we can work it out," Cena added when responding to speculation of him being seen out in public after their breakup. Cena said that, while he's not a good communicator, Bella became his "number one" and he realized during their relationship that he's willing to change things he's been stubborn about in the past like wanting to have children. Cena and Bella announced last month that they had broken up. Their wedding was scheduled to take place on May 5th following his in-ring proposal at WrestleMania 33 in 2017. Bella then responded to his comments while appearing at NBC Universal's upfronts in New York City to promote the third season of Total Bellas, which will premiere on May 20th and, in part, focus on their issues. She said she was speechless about what he said, still had hope for their relationship as well, and wants to find herself and for her and Cena to be happy whether it's together or apart.